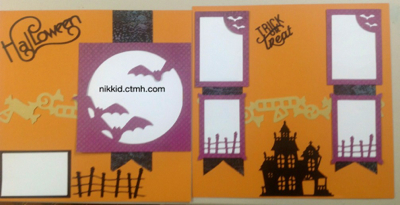 Halloween layout workshop will be Thursday oct 10 7-9 pm. All pieces will be cut for you- just come and put it together! RSVP and prepay by Tuesday sept 24. I will try and get a Paypal set up on here in the next day or so. Please register early. This class is only open to 8 customers! Here is the layout. Hope you can make it! Previous Post back to school and best friends layouts workshop!